Oh, how we'll miss thee. My heart sinks a little at the email subject line: "Important Information Regarding Shopko's Restructuring." On the list of stores the corporate suits are closing in a bid to salvage what little they can, it stands out like a sore thumb: 1450 S. Grand Ave., Pullman. See, it's not like Shopko is my favorite store ever, or that it's even that unique among the other box store giants. It has a little bit of everything you need: a pharmacy and eye center, furniture, clothes, shoes, odds and ends. But in a small place like Pullman, the important thing was that, well, it was there. There were no other real options for a lot of things we found in the Shopko aisles when I was growing up, so, for many of us, even if at first just by default, the store became integral to our lives. When we needed shoes, when we wanted toys, when we had to replace the vacuum, Shopko was just a few minutes away. When my brother and I were ready to graduate from our starter hand-me-down bikes, we went to Shopko to search for new ones with my dad. Our living room rocking chair was purchased there, and so was the futon I had for a bed. My dad became a pro at finding the best deals hidden in the racks, and we bought countless air mattresses, movies and games there. At Christmas, we'd coordinate separate shopping times so we wouldn't cross paths in the store and spoil the surprise. Because it was literally the only place to buy clothes without leaving town, it had an outsized influence on my bizarre fashion choices over the years. For years, I only wore men's cargo shorts and boxy T-shirts in the summer. Later I favored bootcut jeans verging on bell bottoms, and they had the market cornered when it came to flowy, "bohemian" style shirts. 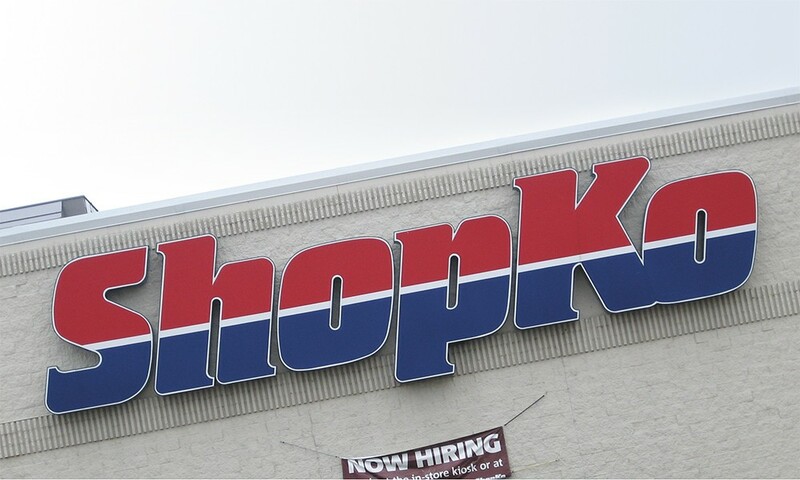 My parents taught me to be independent and work odd jobs, so Shopko is also where I blew my babysitting money on jewelry, CDs and prepaid cards to load my clunky cell phone with minutes. I now regret not taking more advantage of the store's intercom code our friend divulged after getting hired there in high school. The original print version of this article was headlined "Everything We Needed: An Ode to Shopko"